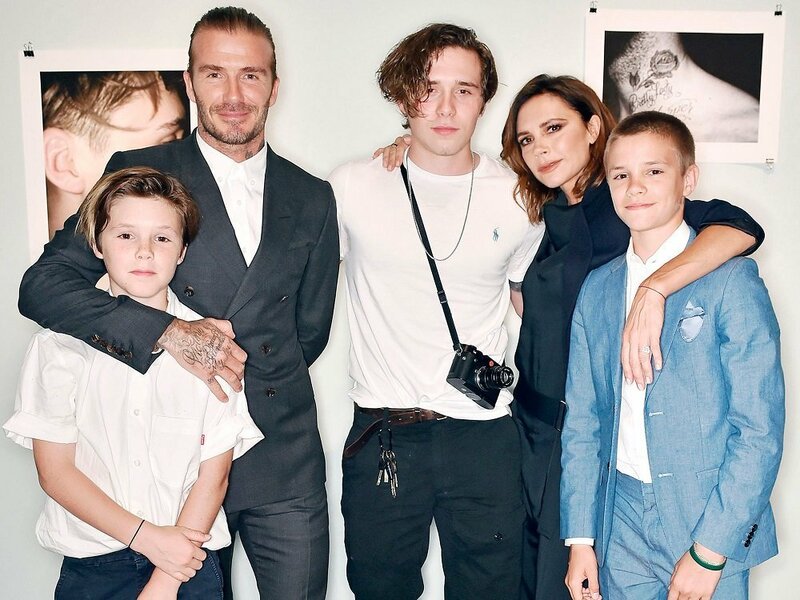 David and Victoria Beckham prove they are indeed #couplegoals not just because of their undeniably good looks and family but also their successful joint partnership in furthering their respective careers. After 20 years of marriage and four children, the couple seems to be stronger and richer than ever as their combined net worth reached a new high at an estimated $700 million. Here’s a breakdown of their staggering wealth. The couple has four children, three teenage boys and a girl (not pictured above). They are Brooklyn, Cruz, Romeo and Harper. David and Victoria first met in 1997 at the Machester United players’ lounge. In hindsight, Victoria would say that it was love at first sight. They would go public with their engagement a year later. The former pro athlete and Posh Spice’s were both already rich and famous when they married in an $800,000 wedding in 1999. But it seems like having a partner in crime to support your endeavors contributes to further successes. Their $700 million net worth is the fruit of each’s hard work over the years with the majority of it coming from Beck’s soccer career and Posh ’s brand deals and fashion line. David Beckham is considered to be the first modern-day soccer star whose fame is credited for making way for other stars of the sport like Cristiano Ronaldo. David’s brings assets from three companies, DB Ventures Ltd., Footwork Productions and Beckham Brand Holdings, into the marital table. According to British media sources, the three companies dial in a turnover of $276 million, $346 million and $120 million respectively. Most of David’s share comes from his wages as a sportsman during his 21 years of playing soccer professionally. During those years, the 43-year-old played for teams like Manchester United, Real Madrid, LA Galaxy and the English national team. He’s also ventured into other business endeavors most notably launching his own Major League soccer team in the United States called Club Internacional de Futbol Miami. Victoria was awarded an Order of the British Empire (OBE) in 2017 for her services and contribution to fashion. Before becoming a fashion icon, Victoria was a member of the British pop music phenomenon Spice Girls. While there are no estimates of her earnings as a performer, it’s safe to assume that she’d be getting a big paycheck now that a Spice Girls reunion is in the works again. However, most of the 44-year-old’s wealth comes from profits from her very own fashion line, Victoria Beckham Ltd. and other collaborations. Founded in 2008, the line is known for its high-end women’s dresses and coats which usually retail for a couple of thousand dollars each. They’ve also collaborated with other popular brands like Estee Lauder, Calvin Klein and Chloe. Recently, the brand ventured into the realm of affordable clothing with their partnership with American company Target.